Happy New Year and welcome to our Spring 2013 semester! Although the winter break is fading on the path behind us, I hope you enjoyed it. I hope you had the chance for meaningful engagement with family and friends. I hope you found a bit of rest and rejuvenation and returned ready for a fabulous New Year. 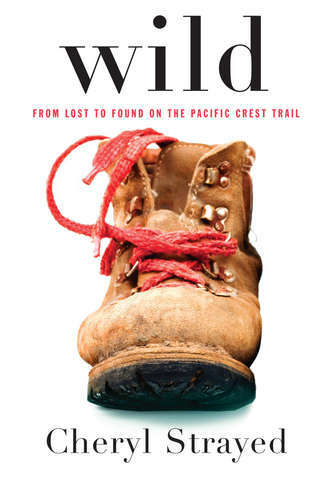 I recently read Cheryl Strayed’s compelling memoir, Wild: From Lost to Found on the Pacific Crest Trail, recounting her remarkable three-month expedition after she impulsively decided to hike from California to Washington state on the 1,100-mile Pacific Crest Trail—alone. She describes a stunningly strenuous trek in which she deals with rattlesnakes, black bears, strange characters, intense heat, and record snowfalls, as well as severe physical and psychological pain. Our District’s journey through California’s five-year budget crisis sometimes reminds me of Strayed’s. We’ve endured brutal budget cutbacks, wild fiscal swings, cruel reductions in course sections and our workforce, distressed students unable to get the classes they need, fear of losing more jobs, increased workloads, and countless unknowns along the way. Spring semester begins Jan. 28 at Grossmont and Cuyamaca colleges in a restorative vein, with hundreds of classes added back as the result of California voters’ approval of Proposition 30, the governor’s sales and income tax measure. The November victory at the polls allowed the colleges to restore 235 course offerings for the new semester that had been cut when the Grossmont-Cuyamaca Community College District approved its budget with the assumption of Prop. 30’s defeat in November. The action was taken to prepare for the worst-case scenario of the district losing $5.6 million in funding had voters rejected Prop. 30. While the clouds have lifted in a marked departure from the doom and gloom of recent semesters, district officials note that this is only the beginning of what is hoped to be a period of restoration. Four consecutive years of debilitating funding losses totaling $16 million to the district have forced the two East County colleges to slash 1,600 classes and to turn thousands of students away at a time of record demand. A new video tour of the Water Conservation Garden at Cuyamaca College provides a preview for first-time visitors of all that the garden offers – and some valuable water conservation lessons that will benefit both college students and gardeners. The video, available on the Water Conservation Garden’s website at www.thegarden.org, features the garden’s ambassador, Ms. Smarty-Plants™, as tour guide. It takes viewers through the various areas of the six-acre garden, from the Bird and Butterfly Garden to the Bamboo Patio Exhibit and the Amphitheater. Ms. Smarty-Plants™ illustrates water conservation tips, such as showing how a redesigned backyard using drought-tolerant techniques went from using 28,000 gallons of water per year to 6,000 gallons a year.